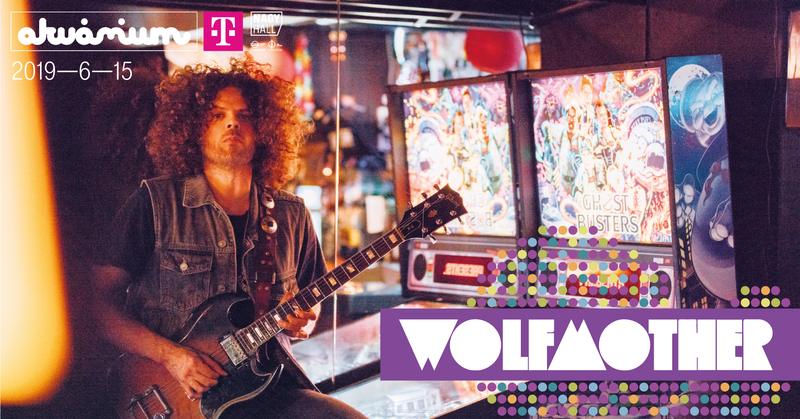 One of the most well-known vintage rock bands, the Australian Wolfmother returns to Akvárium Klub on 15 June to rock the Main Hall with elemental force. In 2005, the Australian Wolfmother took the world by storm with its self-titled first album. The album raced to the top of sales charts all over the world, whilst the emblematic hard-psych-retrock hit Woman, receiving heavy radio air-play, landed a Grammy Award and turned Wolfmother into a world class outfit overnight. However, the sudden popularity took a toll on the trio and singer Andrew Stockdale replaced the entire band twice, followed by albums of varying degrees of success. This led to their fourth album in February 2016, entitled Victorious. True to its name, the album achieved victory as the vintage sound, monumental riffs, grand-scale and audience-friendly choruses raised the band’s status again. Wolfmother already played to a packed Main Hall at Akvárium Klub in 2016, yet they now return in June – so it’s time to see them again or make up for the previous shortcoming.